The Penzance Library was founded in 1818, precisely when is not known but the first minute of the Library Committee is dated 13 May 1818. 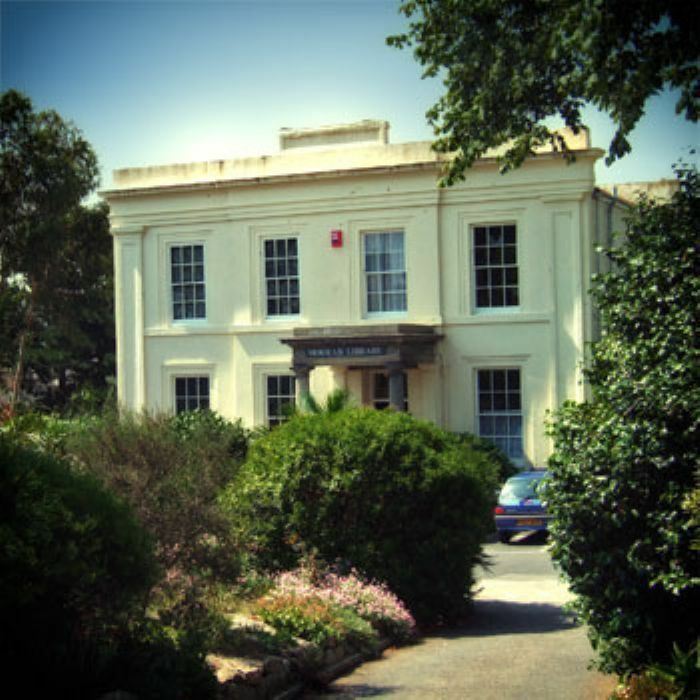 The Library was initially house in Cummins Hotel in Chapel St but this was a short-term temporary arrangement and the new institution soon moved into a room in Geological House, the premises of the Royal Geological Society of Cornwall (RGSC), at 10 Parade Street. The founding of the library is ascribed to Dr John Forbes, the first librarian, and Sir Rose Price of Trengwainton. At the meeting on May 13 1818 Sir Rose agreed to take on the role of President with Rev. George Treweeke as Vice-President and Thomas Bolitho as chairman. A meeting later in the year makes it clear that the secretary of the Penzance Library was Rev. C.V. Le Grice and Dr Forbes was Honorary Librarian. One is tempted to say, the usual suspects. The Penzance Library was a subscription library, membership being open to anyone who could afford the one guinea annual subscription – anyone apart from women that is. This gender bar was discussed at a meeting on 23 September 1818 which considered whether it may be appropriate to allow female relatives of members to join. The result of the debate was that it would not be appropriate but by 1825 a list of members contained the names of several ladies. Why lady members were thought to be inappropriate is not recorded but it is possible that the new institution took into account the fact that there was already in existence in Penzance the Ladies Book Club, which has been established in 1770. The first books were obtained by Joseph Carne who was instructed to make purchases in London up to a value of £100. In addition to these volumes the library also subscribed a number of periodicals: The Edinburgh Review; The Quarterly Review; The British Review; The British Critic; The Monthly Review, the Gentleman's Magazine, the Monthly Magazine and the Literary Gazette. No newspapers were taken, possibly because there was already a newspaper reading room in existence. On 11 November 1818 the committee minutes record that it was "desirable to procure every book relative to the history of Cornwall." The remarkable thing about the Penzance Library is that it still exists, though it's now the Morrab Library, the Library having moved into Morrab House in 1889 following the purchase of Morrab House and garden by the Corporation the previous year. So, like the Royal Institution of Cornwall, the Morrab Library will celebrate its bicentenary in 2018. Or will it? The first anniversary meeting of the Penzance library, which was advertised in the Royal Cornwall Gazette of 19 September 1818, was held on 7 October, 1818 which tends to imply that the Library's officers thought it had been founded in 1817.